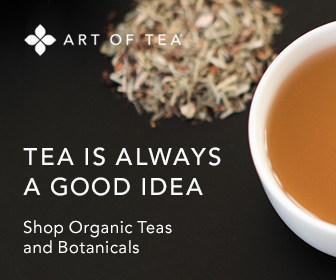 A tea bag can do more than simply serve up an enticing, flavorsome cup of brew. There are creative ways to use bags of tea – other than for consumption – to help promote healing and enjoyment. For example, the German Tea Association recommends making brewed green tea and freezing the liquid in ice cube trays to be used as cold compresses. To help relieve a headache or stress, wrap one of the ice cubes in a paper towel and press it alternately on the neck, temples and forehead for 15 seconds or more. Green tea ice cubes are also beneficial for reducing puffiness around the eyes by gently placing an unwrapped cube against the eyelids or cheeks for 10 seconds. The following suggestions for alternative uses of teabags are provided by Allan Thomas of 101cookingrecipes.com. Use aloe tea topically on the affected area for faster healing and more comfort while sleeping. Just brew two to four bags of aloe tea and pour it into cool bath. Then, soak in the bath to allow healing and prevent moisture loss from the skin. Burns can also be washed with cooled aloe tea used in a mist-maker. Spice up your bath by brewing two bags of ginger tea in a pot of hot water, let steep, and then add to a prepared bath. The warm and stimulating effect of ginger may help those who normally experience cold hands and feet, or for individuals who are recovering from chills attributed to a cold, flu or other illness. Make your own facial mist by letting two bags of lavender or chamomile tea steep until cool, then pour in a spray-mist bottle. Simmer tea aromatic tea bags (jasmine, orange or ginger works well) in a pan of water. Add a slice of orange, a cinnamon stick, or a few slices of apple for a more potent aroma. If you are planning to sell your house, this could enhance the aura in the home and inspire a prospective buyer.